This weeks Sunday confession is one that I think sets me apart from a lot of people my age, but I think (hope) some of you will feel a similar way. A night out at Uni in 2008. Now don't get me wrong, back when I was 18 and I first discovered drinking and clubbing, I loved it, I used to go out multiple times a week, drink a different drink every time I went to the bar, frequently forget large portions of the night, and quad-vods with Irn-Bru were a regular occurrence. This happened throughout my time at Uni, and for about a year or so after I left. I think this is quite common for the youth of Britain today (how old do I sound saying that sentence!) and I think I began the drinking and partying to fit in. When I started Uni, I had never been to a nightclub in my life, but as it seemed the only way to make friends, I forced myself to go, even though I didn't enjoy it at all to begin with, but wound up thinking I loved it. Thankfully I never was sick from drinking, even though I'm sure I should have been at some point, but I have always lost large chunks of the night when I've been drunk. At times being very drunk has gotten me into some sticky situations as well, some of which I had to be told about the next day when I had sobered up somewhat. I also believe that a not very nice ex-boyfriend of mine used to use the fact that I lost portions of the night to emotionally manipulate me by telling me that I had done and said things which were very out of character, but as I couldn't remember the whole night, who knows?! 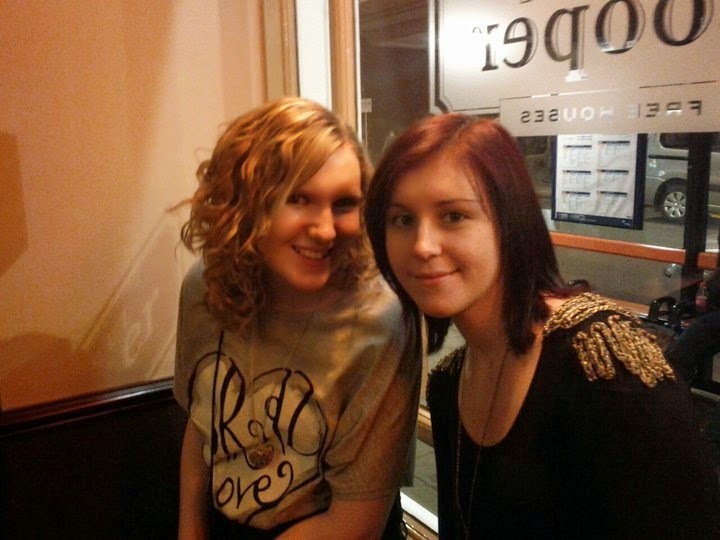 Me and the bestie on a night out in 2011. As I started to lose more and more of the night, and my hangovers began to get worse and worse, I started to be the designated driver of my friends on nights out. I could have just as much fun on a night drinking Diet Coke, and it was cheaper, healthier, and I didn't have to get a taxi home (for some reason I hate getting taxis). I would always remember the whole night, and could remind friends of the funny things they said and did whilst drunk! The amount of calories saved by not drinking also meant that when I did a 24hr McDonalds drive-thru run on the way home from a night out, I could perfectly justify the cheeseburger I had as a 3am snack! Recently, when on a night out I tried drinking "properly" but my poor body rejected the double vodka diet coke which used to be my regular drink, I felt very sick and bloated and really didn't enjoy the tipsy feeling on a night out when I didn't know who was around and if I was safe or not. After that experience I think I have had to accept that drinking really isn't my thing at all anymore and I just can't do it. I'm not completely against drinking at all, I'll have a couple of drinks on occasion, and I'll get tiddly at a house party, but I think my days of going out and getting hammered are well and truly over. I'm in the same boat. I never went clubbing until uni and at first I hated it but then I was out roughly 3x per week and loved it. I got with my now ex-boyfriend at the end of 2nd year and since then haven't really drank. That is now nearly 6 years ago so I have no idea how my body would react now. I think I'm too scared to try haha.